This article is about the Japanese concept of chivalry. For other uses, see Bushido (disambiguation). Bushidō (武士道, "the way of warriors") is a Japanese collective term for the many codes of honour and ideals that dictated the samurai way of life, loosely analogous to the indigenous European concept of chivalry. The "way" originates from the samurai moral values, most commonly stressing some combination of sincerity, frugality, loyalty, martial arts mastery, and honour until death. Born from Neo-Confucianism during times of peace in the Edo period (1600–1878) and following Confucian texts, while also being influenced by Shinto and Zen Buddhism, allowing the violent existence of the samurai to be tempered by wisdom, patience and serenity. Bushidō developed between the 16th and 20th centuries, debated by pundits who believed they were building on a legacy dating back to the 10th century, although some scholars have noted that the term bushidō itself is "rarely attested in pre-modern literature". Under the Tokugawa shogunate, some aspects of warrior values became formalized into Japanese feudal law. Bushidō, then, is the code of moral principles which the samurai were required or instructed to observe ... More frequently it is a code unuttered and unwritten ... It was an organic growth of decades and centuries of military career. In order to become a samurai this code has to be mastered. The samurai of thirty years ago had behind him a thousand years of training in the law of honor, obedience, duty, and self-sacrifice ... It was not needed to create or establish them. As a child he had but to be instructed, as indeed he was from his earliest years, in the etiquette of self-immolation. Many early literary works of Japan talk of warriors, but the term bushidō does not appear in text until the Edo period. From the literature of the 13th to 16th centuries, there exists an abundance of references to military ideals, although none of these should be viewed as early versions of bushidō per se. Carl Steenstrup noted that 13th- and 14th-century writings (gunki monogatari) "portrayed the bushi in their natural element, war, eulogizing such virtues as reckless bravery, fierce family pride, and selfless, at times senseless devotion of master and man". Compiled over the course of three centuries, beginning in the 1180s, the Heike Monogatari depicts a highly fictionalized and idealized story of a struggle between two warrior clans, the Minamoto and the Taira, at the end of the 12th century—a conflict known as the Genpei War. Clearly depicted throughout the epic is the ideal of the cultivated warrior. The warriors in the Heike Monogatari served as role models for the educated warriors of later generations, although the ideals depicted by them were assumed to be beyond reach. Nevertheless, during the early modern era, these ideals were vigorously pursued in the upper echelons of warrior society and recommended as the proper form of the Japanese man of arms. The influence of Shinto, Buddhism, Taoism, and Confucianism in the Bushido's early development instilled among those who live by the code a religious respect for it. Yamaga-Soko, the Japanese philosopher given credit for establishing Bushido, said that "the first and surest means to enter into communion with the Divine is by sincerity." "If a man does not investigate into the matter of bushidō daily, it will be difficult for him to die a brave and manly death. Thus, it is essential to engrave this business of the warrior into one's mind well." Naoshige says similarly, that it is shameful for any man to die without having risked his life in battle, regardless of rank, and that "bushidō is in being crazy to die. Fifty or more could not kill one such a man". However, Naoshige also suggests that "everyone should personally know exertion as it is known in the lower classes". The Hagakure contains many sayings attributed to Sengoku-period retainer Nabeshima Naoshige (1537–1619) regarding bushidō related philosophy early in the 18th century by Yamamoto Tsunetomo (1659–1719), a former retainer to Naoshige's grandson, Nabeshima Mitsushige. The Hagakure was compiled in the early 18th century, but was kept as a kind of "secret teaching" of the Nabeshima clan until the end of the Tokugawa bakufu (1867). His saying, "I have found the way of the warrior is death", was a summation of the focus on honour and reputation over all else that bushidō codified. Tokugawa-era rōnin, scholar and strategist Yamaga Sokō (1622–1685) wrote extensively on matters relating to bushidō, bukyō (a "warrior's creed"), and a more general shidō, a "way of gentlemen" intended for application to all stations of society. Sokō attempts to codify a kind of "universal bushidō" with a special emphasis on "pure" Confucian values, (rejecting the mystical influences of Tao and Buddhism in Neo-Confucian orthodoxy), while at the same time calling for recognition of the singular and divine nature of Japan and Japanese culture. These radical concepts—including ultimate devotion to the Emperor, regardless of rank or clan—put him at odds with the reigning shogunate. He was exiled to the Akō domain, (the future setting of the 47 Rōnin incident), and his works were not widely read until the rise of nationalism in the early 20th century. The aging Yamamoto Tsunetomo's interpretation of bushidō is perhaps more illustrative of the philosophy refined by his unique station and experience, at once dutiful and defiant, ultimately incompatible with the laws of an emerging civil society. Of the 47 rōnin—to this day, generally regarded as exemplars of bushidō—Tsunetomo felt they were remiss in hatching such a wily, delayed plot for revenge, and had been over-concerned with the success of their undertaking. Instead, Tsunetomo felt true samurai should act without hesitation to fulfill their duties, without regard for success or failure. This romantic sentiment is of course expressed by warriors throughout history, though it may run counter to the art of war itself. This ambivalence is found in the heart of bushidō, and perhaps all such "warrior codes". Some combination of traditional bushidō's organic contradictions and more "universal" or "progressive" formulations (like those of Yamaga Sokō) would inform Japan's disastrous military ambitions in the 20th century. Recent scholarship in both Japan and abroad has focused on differences between the samurai caste and the bushidō theories that developed in modern Japan. Bushidō in the prewar period was often emperor-centered and placed much greater value on the virtues of loyalty and self-sacrifice than did many Tokugawa-era interpretations. Bushidō was used as a propaganda tool by the government and military, who doctored it to suit their needs. Scholars of Japanese history agree that the bushidō that spread throughout modern Japan was not simply a continuation of earlier traditions. More recently, it has been argued that modern bushidō discourse originated in the 1880s as a response to foreign stimuli, such as the English concept of "gentlemanship", by Japanese with considerable exposure to Western culture. Nitobe Inazo's bushidō interpretations followed a similar trajectory, although he was following earlier trends. This relatively pacifistic bushidō was then hijacked and adapted by militarists and the government from the early 1900s onward as nationalism increased around the time of the Russo-Japanese War. The junshi suicide of General Nogi Maresuke and his wife on the death of Emperor Meiji occasioned both praise, as an example to the decaying morals of Japan, and criticism, explicitly declaring that the spirit of bushidō thus exemplified should not be revived. 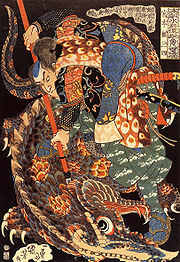 During pre-World War II and World War II Shōwa Japan, bushido was pressed into use for militarism, to present war as purifying, and death a duty. This was presented as revitalizing traditional values and "transcending the modern". Bushidō would provide a spiritual shield to let soldiers fight to the end. As the war turned, the spirit of bushidō was invoked to urge that all depended on the firm and united soul of the nation. When the Battle of Attu was lost, attempts were made to make the more than two thousand Japanese deaths an inspirational epic for the fighting spirit of the nation. Arguments that the plans for the Battle of Leyte Gulf, involving all Japanese ships, would expose Japan to serious danger if they failed, were countered with the plea that the Navy be permitted to "bloom as flowers of death". The first proposals of organized suicide attacks met resistance because although bushidō called for a warrior to be always aware of death, they were not to view it as the sole end. Nonetheless, the desperate straits brought about acceptance and such attacks were acclaimed as the true spirit of bushidō. 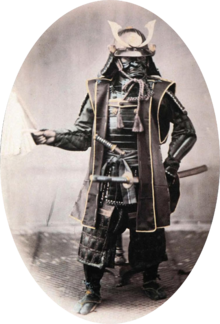 As Japan continued its modernization in the early 20th century, her armed forces became convinced that success in battle would be assured if Japanese soldiers, sailors, and airmen had the “spirit” of Bushido. ... The result was that the Bushido code of behavior “was inculcated into the Japanese soldier as part of his basic training.” Each soldier was indoctrinated to accept that it was the greatest honor to die for the Emperor and it was cowardly to surrender to the enemy. ... Bushido therefore explains why the Japanese in the NEI so mistreated POWs in their custody. Those who had surrendered to the Japanese—regardless of how courageously or honorably they had fought—merited nothing but contempt; they had forfeited all honor and literally deserved nothing. Consequently, when the Japanese murdered POWs by shooting, beheading, and drowning, these acts were excused since they involved the killing of men who had forfeited all rights to be treated with dignity or respect. While civilian internees were certainly in a different category from POWs, it is reasonable to think that there was a “spill-over” effect from the tenets of Bushido. Japanese propaganda during the World War II claimed that prisoners of war denied being mistreated and declared that they were being well-treated by virtue of bushidō generosity. Broadcast interviews with prisoners were also described as being not propaganda but out of sympathy with the enemy, such sympathy as only bushidō could inspire. Bushidō expanded and formalized the earlier code of the samurai, and stressed sincerity, frugality, loyalty, mastery of martial arts, and honour to the death. Under the bushidō ideal, if a samurai failed to uphold his honor he could only regain it by performing seppuku (ritual suicide). Bushidō varied dramatically over time, and across the geographic and socio-economic backgrounds of the samurai, who represented somewhere between 5% and 10% of the Japanese population. The first Meiji-era census at the end of the 19th century counted 1,282,000 members of the "high samurai", allowed to ride a horse, and 492,000 members of the "low samurai", allowed to wear two swords but not to ride a horse, in a country of about 25 million. Some versions of bushidō include compassion for those of lower station, and for the preservation of one's name. Early bushidō literature further enforces the requirement to conduct oneself with calmness, fairness, justice, and propriety. The relationship between learning and the way of the warrior is clearly articulated, one being a natural partner to the other. When warriors say that they will perform an action, it is as good as done. Nothing will stop them from completing what they say they will do. They do not have to 'give their word'. They do not have to 'promise'. Speaking and doing are the same action. Modern Western translation of documents related to bushidō began in the 1970s with Carl Steenstrup, who performed research into the ethical codes of famous samurai including Hōjō Sōun and Imagawa Sadayo. Primary research into bushidō was later conducted by William Scott Wilson in his 1982 text Ideals of the Samurai: Writings of Japanese Warriors. The writings span hundreds of years, family lineage, geography, social class and writing style—yet share a common set of values. Wilson's work also examined older Japanese writings unrelated to the warrior class: the Kojiki, Shoku Nihongi, the Kokin Wakashū and the Konjaku Monogatari, as well as the Chinese Classics (the Analects, the Great Learning, the Doctrine of the Mean, and the Mencius). In May 2008, Thomas Cleary translated a collection of 22 writings on bushidō by warriors, scholars, political advisers, and educators, spanning 500 years from the 14th to the 19th centuries. Titled Training the Samurai Mind: A Bushido Sourcebook, it gave an insider's view of the samurai world: "the moral and psychological development of the warrior, the ethical standards they were meant to uphold, their training in both martial arts and strategy, and the enormous role that the traditions of Shintoism, Buddhism, Confucianism, and Taoism had in influencing samurai ideals". ^ a b Matthews, Warren (2010). World Religions. Belmont, CA: Cengage Learning. p. 199. ISBN 9780495603856. ^ Nitobe, Inazo (2010). Bushido, The Soul of Japan. Kodansha International. p. 81. ISBN 9784770050113. ^ Willcock, Hiroko (2008). The Japanese Political Thought of Uchimura Kanzō (1861-1930): Synthesizing Bushidō, Christianity, Nationalism, and Liberalism. Edwin Mellen Press. ISBN 978-0773451513. Koyo gunkan is the earliest comprehensive extant work that provides a notion of Bushido as a samurai ethos and the value system of the samurai tradition. ^ Kasaya, Kazuhiko (2014). 武士道 第一章 武士道という語の登場 [Bushido Chapter I Appearance of the word Bushido] (in Japanese). NTT publishing. p. 7. ISBN 978-4757143227. ^ Friday, Karl F. "Bushidō or Bull? A Medieval Historian's Perspective on the Imperial Army and the Japanese Warrior Tradition". The History Teacher, Vol. 27, No. 3 (May 1994), pp. 340. ^ Nitobe, Inazō (1899). Bushidō: The soul of Japan. ^ Arthur May Knapp (1896). "Feudal and Modern Japan". Retrieved 2010-01-02. ^ "Onna-Bugeisha – The Female Samurai". Foreign policy. 2018-05-24. Retrieved 2018-08-30. ^ Shimabukuro, Masayuki; Pellman, Leonard (2007). Flashing Steel: Mastering Eishin-Ryu Swordsmanship, 2nd edition. Berkeley, CA: Blue Snake Books. p. 2. ISBN 9781583941973. ^ Eiko Ikegami. The Taming of the Samurai: Honorific Individualism and the Making of Modern Japan. Cambridge, MA: Harvard University Press, 1995. ^ Karl Friday. Bushidō or Bull? A Medieval Historian's Perspective on the Imperial Army and the Japanese Warrior Tradition. The History Teacher, Volume 27, Number 3, May 1994, pages 339-349. ^ "No Surrender: Background History"
^ David Powers, "Japan: No Surrender in World War Two"
^ Borch, Fred (2017). Military Trials of War Criminals in the Netherlands East Indies 1946-1949. Oxford University Press. pp. 31–32. ISBN 0191082953. 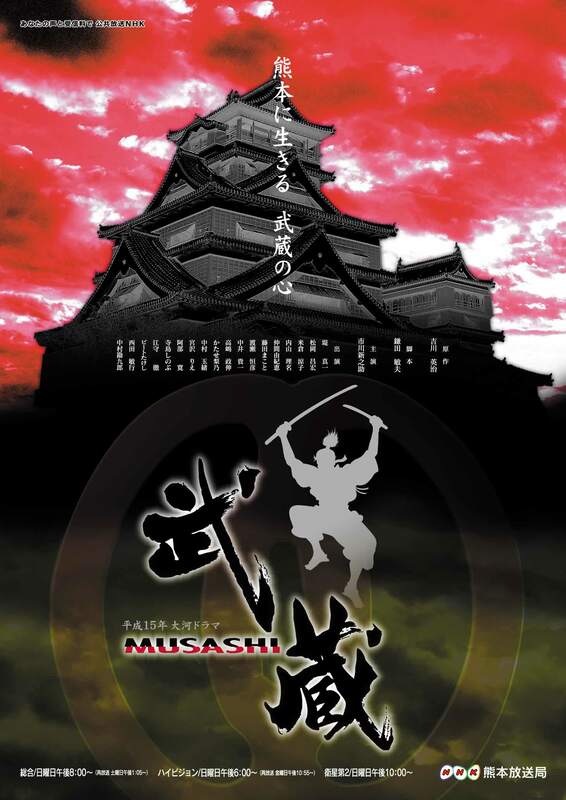 ^ "Bushido | Japanese history". Encyclopedia Britannica. Retrieved 2017-08-21. ^ "Monumenta Nipponica". Archived from the original on 2008-02-15.